By Dr John Briffa on 17 April 2009 in Food and Medical Politics, Healthy Eating, Specific conditions, Unhealthy Eating! Many individuals will be familiar with the almost-constant recommendations that come at us with regard to what we should be eating to reduce our risk of heart disease. A central theme in this advice, though not everyone would agree with it, is that the diet should be low in fat and high in carbohydrate. Sometimes, we have further refinement of this message where we are encouraged to eat less ‘saturated’ fat and more ‘polyunsaturated’ fat. Some food manufacturers, for example those who produce margarine and sell it as a ‘healthy’ alternative to butter, have been particularly keen to get it into our heads that a diet rich in polyunsaturated fat and low in saturated fat is the way to keep heart disease at bay. Many doctors and dieticians would agree. But how true is this assertion? 1. Cohort studies: this is a form of ‘epidemiological’ study in which the relationship between specific factors (in this case dietary factors) and a medical condition or conditions (in this case, heart disease) are assessed over a period of time. 2. Randomised controlled trials: where individuals are subjected to some sort of dietary change (e.g. lowered fat intake) and the result is compared with individuals who do not make this change. Randomised controlled trials are good for sorting out cause-and-effect. For example, if eating a low fat diet was found to lead to a reduced risk of heart disease, that would strongly suggest that fat actually causes heart disease. On the other hand, cohort studies can’t generally be used to draw such conclusions. All they are really good for is to assess associations between things (and associations don’t prove causality). However, certain criteria can be applied in judging cohort studies that may help to lend support to the idea that a risk factor that is associated with a disease is also a true cause of it. A specific set of criteria commonly used here is known as the ‘Bradford Hill’ guidelines (after the man who developed it). In this recent study, the Bradford Hill guidelines were used to judge each of a wide range of nutritional factors that might have some influence of heart disease risk. Four primary criteria were applied. If the evidence fulfilled all four criteria, then the authors adjudged there to be ‘strong’ evidence of a cause-and-effect link between the specific dietary factor and heart disease. If 3 criteria were met, the evidence was regarded as ‘moderate’. Scores of 2 or less constituted, according to the authors, ‘weak; evidence of a causal link. Please note the absence of ‘polyunsaturated’ fats from this list. In other words, the authors found no evidence that an increased consumption of these is associated with relative protection from heart disease. Please note the absence of saturated fat in this list. In other words, this review shows the totality of the evidence does not support a link between saturated fat and heart disease. By the way, higher intakes of meat and eggs were not associated with an increased risk of heart disease either. And neither was total fat consumption. What about cutting back on saturated fat though, surely there must be some evidence for the benefits of this (seeing as it perhaps the most commonly trumpeted nutritional dictum of all)? Well, it turns out that there were no appropriate randomised controlled trials on this that the authors could identify. Apparently, according to the authors, all of the studies that have cut back on saturated fat have employed one or more nutritional strategies (e.g. increased intake of omega-3 fats) at the same time. I have written about this here, where I attempt to summarise the evidence which shows that eating less saturated fat not only doesn’t benefit the heart, but does not have broad benefits in terms of anything else either. And remember, this study showed good evidence for a cause-and-effect link between high GI/GL carbs and an increased risk of heart disease. You can read more about how and why this can be here. 1. Mente A, et al. A Systematic Review of the Evidence Supporting a Causal Link Between Dietary Factors and Coronary Heart Disease. Arch Intern Med. 2009;169(7):659-669. When will Dr Briffa write an article on Dr Kern of Stuttgart? In 21 years treating 15,000 patients, not one died from a heart attack. This is the killer disease, yet he worked out that the causes of a heart attack are not those which are the accepted causes. This surely could be the most important medical discovery for a generation, yet no one is talking about it. If this is posted, and Dr Briffa is not interested in following this up, please google– Dr Kern heart disease–You wil lbe fascinated by his findings. Well – here goes – I am not scientifically trained – just a 59 year old woman from a working class background having lived a life where I must feed myself and, in the past family, children, with food of good enough quality to nourish body and brain and I have for many years followed the debate, trials, scientific evidence and reviews written about fat because it has always fascinated me. I have personally never seen it as the villain – always – especially where children are concerned – to me the villain is the highly processed, simple carbohydrate- rich, sugar, high fructose corn syrup and salt laden foods that have become staple to mostly our working class children in families with lower incomes – which is now once again disadvantaging them and making them malnourished and unable to reach their potential. What I seemed to have gleaned is that my grandmother ate pasture fed animals that would naturally have had a different ratio of, what would appear to be beneficial for the heart, omega 3 fats, in a better balance with omega 6 fats, as well as saturated fat – and sat fat has its place – to give me energy (and my children when they biked to school) and a certain amount of padding to cushion my eternal organs as well as my bottom (I just don’t need too much on my bottom) but could not be put to structural use as can the essential (omega 3 and 6) essential fatty acids used for brain, nervous system, cells and fine motor movement. So, as I see it, it’s not about bad fats and good fats but the balance of fats which we have upset by wanting, perhaps too much cheap meat and not caring how we achieve this i.e. feed lot animals being fed large quantities of corn and grain they are just not built to eat and that causes them misery and enables us to have cheap, but possibly not very nutritionally sound meat, higher in saturated fat and this cheap meat along with a lot of these mostly omega 6 damaged (trans) fats we now get in all the highly processed corn, soya etc oils used for cakes, biscuits, crisps and highly processed foods aimed especially at children now presents us with ratios of the different kinds of fats we have never been subjected to before. I would say, that my grandmother and father ate a lot of meat (but it wasn’t intensively reared feed lot meat and therefore had a different balance of sat to unsaturated fatty acids) but they also ate a lot of fish (rich in omega 3′s. ) In fact, in the past fish was very much a staple food for the not so well off. They would have cooked with lard (sat fat)- not the highly processed polyunsaturated oils mostly full of omega 6 and so, once again as I see it, like most things in life – fats are about balance. Jill, I agree fats are out of balance. This imbalance causes a lot of problems, particularly inflammatory conditions. You need to remember that excess carbohydrates will be turned into fat to deposit on your rear end. “Saturated fatty acids constitute at least 50% of the cell membranes. They are what gives our cells necessary stiffness and integrity. John Ivens, why don’t you summarise Dr Kern’s approach do we don’t have to search. Include a link as well. Recently, we have been bombarded with ‘studies’ that show that consumption of red meat ’causes’ cancer and early death.?? Have they heard about CLA in beef? Dr. Briffa, congratulations on noticing the most remarkable result of this study: no evidence to support total and saturated fat intake being linked to coronary heart disease. Most of the major media outlets failed to report this, because it wasn’t in the news release. 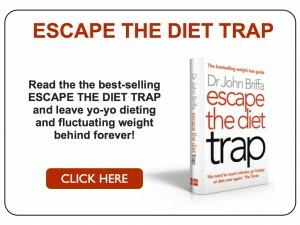 finally…now check out the paleo/primal diet and start eating proper food! I hope more and more people start stating the obvious like this. Why our society latched on to the lipid hypothesis without any hesitation still baffles me. I love eating beef tallow from grass-fed cows, lard from foraged hogs, rich yellow butter from grass-fed cows, unrefined virgin coconut oil, fish & fish oils, the list goes on. I bet I get more than 50% of my calories from fat — most of it in the form of saturated and mono-unsaturated fats. And have I gained weight since I started eating this way? Seen any adverse effects? I’ve actually lost 10 unnecessary pounds while simultaneously building muscle tone, and my heart and lipid levels have never been healthier. I know a high-fat diet isn’t for everyone, but for people like me who thrive on it, I can’t stress the importance of getting good, clean, quality fats in the diet! The Chief Scientist of the Food Standards Agency, Dr Andrew Wadge chose the day of the launch of the Anti-Saturated Fat Campaign to head his periodic blog ‘The appliance of science’. His comments received criticism from a number of contributors largely centered around skepticism of the ‘lipid hypothesis’. It was an unfortunate week for the FSA as news also broke that same week that we need no longer be concerned about dietary cholesterol from eggs upping our plasma cholesterol; and also be aware that contention surrounds the notion that raised plasma cholesterol is a fully reliable indicator of possible future ill-health. It had previously been fairly longstanding official advice from the FSA to limit our consumption of eggs. The review that is the subject of Dr Briffas article adds considerable weight to arguments counter to the ‘lipid hypothesis’. Martins Levacs’ comment appears in favour of an uncommonly high fat diet but I’m left unclear as to exactly how high. Does he refer to a percentage of dietary fat by bulk, weight or by calories? I concede I am not especially well informed about the merits or otherwise of a diet so peculiarly loaded with fat, saturated or otherwise, and nor am I especially well informed about the conditions of epilepsy or autism. However, the notion that such a high fat diet could be considered healthy seems entirely counter-intuitive. For one thing, our distant ancestors survived for millions of years on a diet substantially based upon plant matter, and secondly, when meat was incorporated into the diet it was wild and free ranging and not so high in saturated fat as our modern husbanded meat. I have been, and remain, highly skeptical of the FSA anti-saturated fat campaign. However, that is far from advocating a high fat diet. This is 2009. Science and technology have brought humankind all kinds of understanding and marvels but not, so it seems, widespread enlightenment in relation to provisioning a healthy human diet. What is more it is disastrously complicated for the consumer. Counter-intuitive was the term I used to question the merit of a high fat diet. Almost everyday the media covers a story of some newly identified constituent of mostly plant based foods that confers some protection against one condition or another. ‘Phytonutrients’ they are called and they include powerful anti-oxidants. Possibly those that we have identified are merely the tip of an iceberg. How powerful? We have yet to fully unravel the mechanisms and synergies that may confer full potency. I only have my intuition to suggest that a diet so high in fat would displace calories from other potential foods that could better meet the bodies requirements for phytonutrients. The macro-nutrient debate that continues in papers, books, and forums is often ill informed. Should we eat high-carb or low-carb? Like ‘groundhog day’ the debate continues in circles. Granted, the adopted carbohydrate staples and derivatives of 21st century Homo sapiens sapiens pose problems by virtue of being highly refined, energy dense and nutrient lean. However, that is not to ignore the importance of carbohydrate to the workings of the human body. Carbohydrate, protein, fat, and fibre are all essential to the workings of the human body. Nature never did provide them in complete isolation. Should we hypothesize with Martin that high-carb diets may hold an explanation as to the cause(s) of epilepsy and autism? Well, hypotheses are generally well intentioned lines of thought derived to gain comprehension of the workings of a system but they require research, experiment and results to back them up. Such research is generally most helpful if the motivation is driven by the pursuit of knowledge rather than the pursuit of profit; so more unbiased research would be helpful – making sense of so much biased ‘research’ and ‘evidence’ constitutes some challenge. May I end with a well intentioned hypothesis of my own? That a modern diet, high in refined and energy dense carbohydrate and sugar, lacking in fibre, nutrient lean, lacking concentrations of trace elements consequential of intensive farming methods, and with sub-optimally balanced dietary provision of essential fatty acids may well have some causal link with epilepsy and autism. Is there substance in this hypothesis and can the same hold some validity in relation to many other non-communicable conditions of the 21st century? I long for substantive, reliable, and unbiased evidence one way or the other. Are you left wondering am I anti saturated fat or anti carbohydrate? Neither. So can we hold hope of reform of policy after publication of the review detailed above? Don’t hold your breath. It was once believed that the sun and planets orbited around the Earth and that the Earth was flat. Even after learned alternative hypotheses discredited both those notions the new hypotheses were slow to become general consensus and widely accepted. (Sighs) Just keep the flame alight beneath the pot. (Other) Folks will notice it boiling one day. 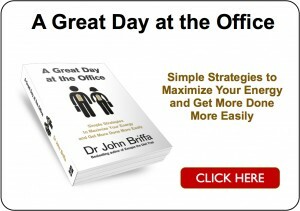 I’m sorry I just now came across Dr. Briffa’s site now. I see that this info was posted much earlier this year. My son is an independent health researcher and writer and has been incorporating these facts relating to saturated fats for quite some time. I’m sure that he would like to confer with many Dr. Briffa and many of you that have commented here. His name is Matt Stone and his website is: http://www.180degreehealth.com. As you can see from the name of his site that his views on this and many other unsupported nutritional dogma, are very contrary to mainstream. He also has a blog: http://www.180degreehealth.blogspot.com. I hope that all of you can connect and work toward making this info known on a widespread basis as suggested. In any case congratulations Dr. Briffa and all of you who commented so eloquently. In 1958 Dr. Benjamin Sandler published a book “How to prevent heart attacks”, in which he documents the exact event that triggers heart attacks: it is a rapid drop of the blood glucose level. Based on this new insight, he treated angina patients by prescribing diet low in sugar and starches (no fruits, grains, sugars, pasta, starchy vegetables). Results: no heart pain in about 4-6 weeks. It seams reasonable to conlude, that if someone does not have $1/day to spend on Strodival 3mg -mr to be safe from heart attack on regular (starchy) diet, he/she can instead opt for no sugar / no starch diet, with the same if not better level of protection. You mention in the article that a higher intake of foods of high glycaemic index or high glycaemic load was associated with an increased risk of heart disease. But is it just a coincidence, or not? In 1958 monograph “How to prevent heart attacks” Dr. Benjamin Sandler argued that dietary intake of starches and sugars could be the main reason for heart attacks, with rapid drop in glucose level some time after a meal being the trigger. To prevent heart attacks, Dr. Sandler recommended his patients to eliminate starches and sugars from their diets. Worth noting that for patients who returned later to original starchy diet, it resulted in return of the angina symptoms! The book is now out of print, but the publisher Selene River Press kindly made it available for free in pdf format. I think the above statement summarises the main cause of heart disease – people are too bone idle. How bloody hard is it to do exactly as Iven’s says, and put that search expression into google. Amazing how many relevant search results you get. Thats if you can be bothered to read. I am not a dogmatist and I am glad that Dr Briffa has opened the window and not closed it. I have artery problems and I changed my life style according to what my cardiologists recomended. I take statins, blood pressure pills and artery clearing pills such as Imdur+ plavix and sometimes asperin. I also exercise a minimum of 1 hour a day. Everything helps, but I feel best when exercising and eating moderately non saturated fats. But I eat fish 3 times a week, I take linseed pills and fish oil as well. I had a quadriple bye-pass 10 years ago and until now its not bad, considering that I only had a stent inserted on a minor artery of my heart a month ago. So although I am glad that (as Dr Briffa said), saturated fat does not cause heart attacks, I think we have returned exactly to where we started from. I believe that not every personal body reacts the same to food or life style. There must be some missing link. Anyway thanks DR Briffa, let us hope that slowly but surely we will discover our Eldorado. But I am not going to start eating fats, butter, lard and tallow yet. When everybody agrees, I’ll change my mind. But someone has to start. the missing link is that nature did not prepare humans to consume vegetable oils, high in polyunsaturates, in quite the quantities many people do. the other missing link is that the industrial age arises from a long term trend in the human diet to include more energy dense cabs and much less soluble fibre: again we’re not fully prepared. Busy, industrious people clamour for fast (energy dense) food. Eat slower carbs (lower GL) and more fibre rich greens and veg. It’s curious that the in the review of research that Dr. Briffa refers to there is no mention of results showing the effects of too much omega-6 polyunsaturated fat – which should be the real focus of research, since they have come to dominate in our food supply. With a focus on omega-6′s you’d no doubt see a significant increase in risk, especially if you looked at overall morbidity and mortality, not just heart disease. Thanks for highlighting this research.